You probably heard about Auto Mobile Code because someone sent you an email recommending it, possibly bragging about what an incredible product it is, how much money it’s made them or someone they know, etc… Do not believe anything good you’ve heard about this product. I just purchased Auto Mobile Code today and it does not fulfill ANY promises made on the sales page. 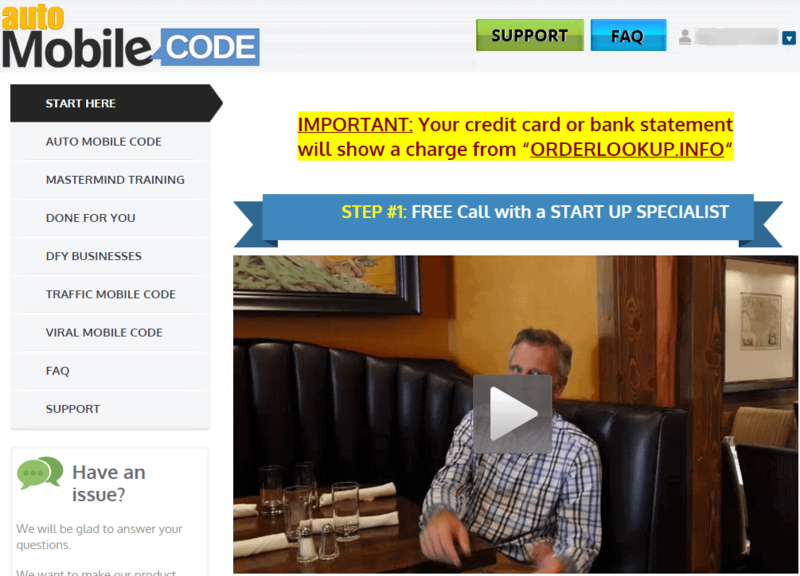 I am not an affiliate for Auto Mobile Code. The company that released this product is notorious for publishing products that follow this EXACT template every year – a showy sales video with mansions filled by paid actors, a barrage of upsells after you purchase, and a worthless, low-quality “training” product once you actually get into the members’ area. If you don’t want to waste your money, I highly recommend you read the full review below. If you don’t have the time to read the full review below, at least read this summary. The publishers that created Mobile Money Code pay actors to deliver their sales pitch and give great testimonials, rent mansions and fancy cars to deceive you, and always promise that you’ll make an incredible amount of money easily as long as you purchase their product. 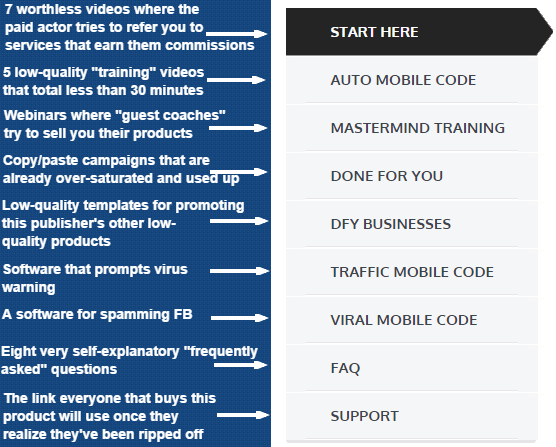 I’ve purchased many of their products over the past couple of years, and they ALWAYS end up delivering low-quality, worthless, scammy training that doesn’t even come close to fulfilling the promises they made on the sales page. 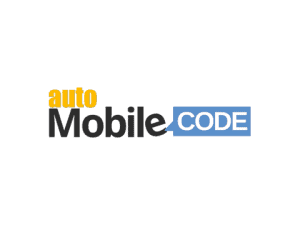 Auto Mobile Code is no exception. 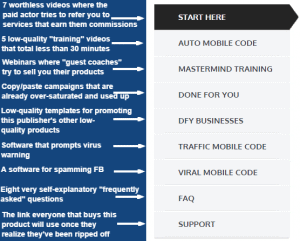 They use a flashy sales page to promote the product, they try to pressure you into buying hundreds of dollars in add-on products after you purchase the initial product, and ultimately leave you with nothing but a members’ area with less than 30 minutes worth of training collectively. 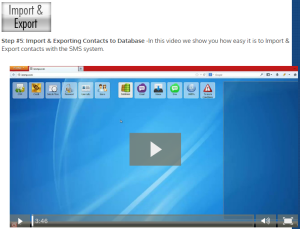 The Auto Mobile Code “software” prompts virus warnings and requires unrestricted access to your computer, and the training videos you receive quickly show you how to use features within the software but not how to apply it in any way that might make money. In the end you’ve given up some of your hard-earned money to be delivered a questionable piece of software, less than 30 minutes worth of training, and had your email address sold to numerous low-quality companies that will blast your inbox with spam for months (if not years) on-end. This exact same product publisher has released multiple products in the past. You may have heard of some of them – Mobile Money Code, Commission Cash Code, and many, many others. They typically release a product 1-2 times a year and have a HUGE list of immoral affiliates that peddle the product to their email list and create a massive amount of revenue – leaving customers in the dust and ripped off. 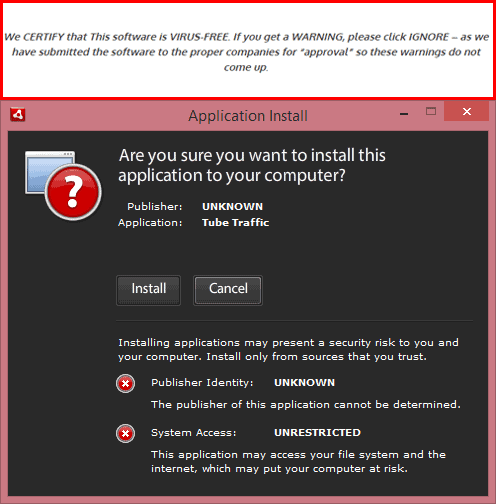 Now I can understand receiving a false warning, but Adobe Air explains that the software will have unrestricted access to your computer. There’s no reason for them to have unrestricted access to your computer – why would anyone agree to install software from a non-credible company that had such broad potential to access all of the personal/financial files, data, etc… on your computer? If you decide to install the software for some reason, you’ll be even more disappointed with the training you’re given when you login to the members’ area. The core “training” is five videos totaling less than 30 minutes in training. They include an overview, setting up your first campaign, adding a web form to your website, and how to import and export contacts – that’s it! There’s no training or explanation beyond that – just a few short videos that give you an overview of the software’s features – nothing about using it to make money or building a business like you were promised. Don’t just avoid this product – avoid anyone that recommends it or sends you an email instructing you to buy it. Everyone involved with this product is trying to sell it to unsuspecting people to make a commission off of scamming them – don’t let them make any money off of you. If you’ve read this far and decided not to buy the product because you don’t want to get scammed, leave a comment below. This helps me get an idea of what content people are finding useful so that I can create more like it in the future. Also, if you have any questions about this product or creating an internet business in general, feel free to ask your question in the comments section below as well! I reply to all comments personally and am happy to help any way that I can. 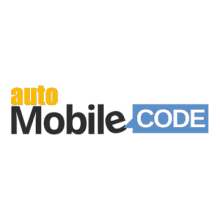 I’ve heard all about auto mobile code before. This product was a scam then and it still is now after reading your review on it. 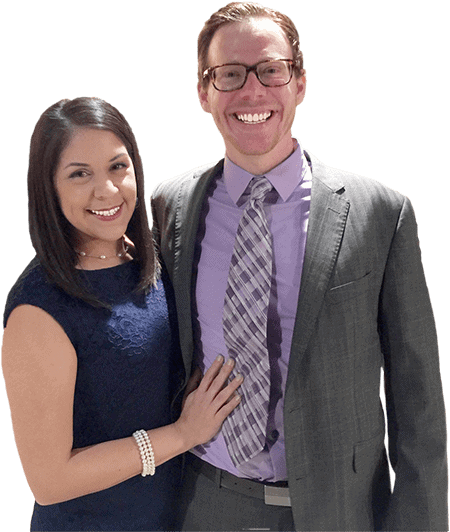 I’m just glad that we have legitimate training platforms just like the Wealthy Affiliate community because without WA, I honestly don’t know if there would be many successful online business owners (except for the scammers). 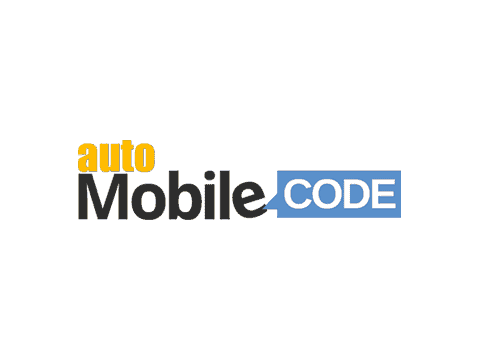 Thanks for the insight into the auto mobile code. No problem at all, Neil! I’m glad that I was able to help. If I can help with anything else IM-related down the road, don’t hesitate to reach out. Thanks for taking the time to read and leave a comment letting me know you dropped by!